As a breast cancer survivor, Donna Catanuchi said she knows she can't go without health insurance. But her monthly premium of $855 was too high to afford. "It was my biggest expense and killing me," said Catanuchi, 58, of Mullica Hill, N.J.
A "navigator" who helps people find coverage through the Affordable Care Act found a solution. But it required Catanuchi, who works part time cleaning offices, to switch to a less comprehensive plan, change doctors, drive farther to her appointments and pay $110 a visit out-of-pocket — or about three times what she was paying for her follow-up cancer care. She now pays $40 a month for coverage, after she qualified for a substantial government subsidy. Catanuchi's switch to a more affordable but restrictive plan reflects a broad trend in insurance plan design over the past few years. The cheaper plans offer far narrower networks of doctors and hospitals and less coverage of out-of-network care. But many consumers are overwhelmed or unaware of the trade-offs they entail, insurance commissioners and policy experts say. With enrollment for ACA health plans beginning Nov. 1, they worry that consumers too often lack access to clear information about which health plans have "narrow networks" of medical providers or which hospitals and doctors are in or out of an insurer's network, despite federal rules requiring plans to keep up-to-date directories. "It's very frustrating for consumers," said Betsy Imholz, who represents the advocacy group Consumers Union at the National Association of Insurance Commissioners. "Health plan provider directories are often inaccurate, and doctors are dropping in and out all the time." These more restrictive plans expose people to larger out-of-pocket costs, less access to out-of-network specialists and hospitals, and "surprise" medical bills from unforeseen out-of-network care. More than 14 million people buy health insurance on the individual market — largely through the ACA exchanges, and they will be shopping anew this coming month. For 2018, 73 percent of plans offered through the exchanges were either health maintenance organizations (HMOs) or exclusive provider organizations (EPOs), up from 54 percent in 2015. Both have more restrictive networks and offer less out-of-network coverage compared with preferred provider organizations (PPOs), which represented 21 percent of health plans offered through the ACA exchanges in 2018, according to Avalere, a health research firm in Washington, D.C.
PPOs typically provide easier access to out-of-network specialists and facilities, and partial — sometimes even generous — payment for such services. Measured another way, the number of ACA plans offering any out-of-network coverage declined to 29 percent in 2018 from 58 percent in 2015, according to a recent analysis by the Robert Wood Johnson Foundation. For example, in California, HMO and EPO enrollment through Covered California, the state's exchange, grew from 46 percent in 2016 to 70 percent in 2018, officials there said. Over the same period, PPO enrollment declined from 54 percent to 30 percent. In contrast, PPOs have long been and remain the dominant type of health plan offered by employers nationwide. Forty-nine percent of the 152 million people and their dependents who were covered through work in 2018 were enrolled in a PPO-type plan. Only 16 percent were in HMOs, according to the Kaiser Family Foundation's annual survey of employment-based health insurance. The good news for people buying health insurance on their own is that the trend toward narrow networks appears to be slowing. "When premiums shot up over the past few years, insurers shifted to more restrictive plans with smaller provider networks to try and lower costs and premiums," said Chris Sloan, a director at Avalere. "With premium increases slowing, at least for now, that could stabilize." Some research supports this prediction. Daniel Polsky, a health economist at the University of Pennsylvania, found that the number of ACA plans nationwide with narrow physician networks declined from 25 percent in 2016 to 21 percent in 2017. Polsky is completing an analysis of 2018 plans and expects the percent of narrow network plans to remain "relatively constant" for this year and into 2019. "Fewer insurers are exiting the marketplace, and there's less churn in the plans being offered," said Polsky. "That's good news for consumers." Insurers may still be contracting with fewer hospitals, however, to constrain costs in that expensive arena of care, according to a report by the consulting firm McKinsey & Co. It found that 53 percent of plans had narrow hospital networks in 2017, up from 48 percent in 2014. "Narrow networks are a trade-off," said Paul Ginsburg, a health care economist at the Brookings Institution. "They can be successful when done well. At a time when we need to find ways to control rising health care costs, narrow networks are one legitimate strategy." Ginsburg also notes that there's no evidence to date that the quality of care is any less in narrow versus broader networks, or that people are being denied access to needed care. Mike Kreidler, Washington state's insurance commissioner, said ACA insurers in that state "are figuring out they can't get away with provider networks that are inadequate to meet people's needs." "People have voted with their feet, moving to more affordable choices like HMOs but they won't tolerate draconian restrictions," Kreidler said. The state is stepping in, too. In December 2017, Kreidler fined one insurer — Coordinated Care — $1.5 million for failing to maintain an adequate network of doctors. The state suspended $1 million of the fine if the insurer had no further violations. In March 2018, the plan was docked another $100,000 for similar gaps, especially a paucity of specialists in immunology, dermatology and rheumatology. The $900,000 in potential fines continues to hang over the company's head. Centene Corp, which owns Coordinated Care, has pledged to improve its network. 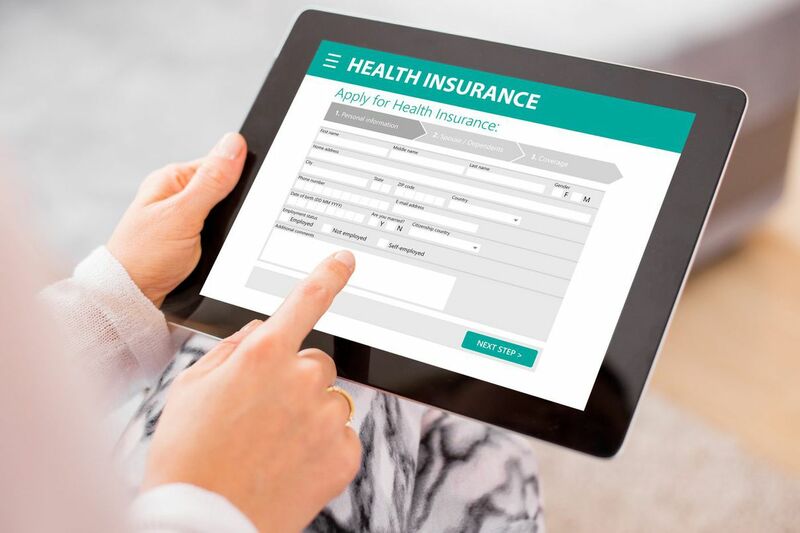 Pennsylvania Insurance Commissioner Jessica Altman said she expects residents buying insurance in the individual marketplace for 2019 to have a wider choice of providers in their networks. "We think and hope insurers are gradually building more stable networks of providers," said Altman. Bad publicity and recent state laws are pushing insurers to modify their practices and shore up their networks. About 20 states now have laws restricting surprise bills or balance billing, or which mandate mediation over disputed medical bills, especially those stemming from emergency care. Even more have rules on maintaining accurate, up-to-date provider directories. The problem is the laws vary widely in the degree to which they "truly protect consumers," said Claire McAndrew, a health policy analyst at Families USA, a consumer advocacy group in Washington, D.C. "It's a patchwork system with some strong consumer protections and a lot of weaker ones." "Some states don't have the resources to enforce rules in this area," said Justin Giovannelli, a researcher at the Center on Health Insurance Reforms at Georgetown University. "That takes us backward in assuring consumers get coverage that meets their needs."